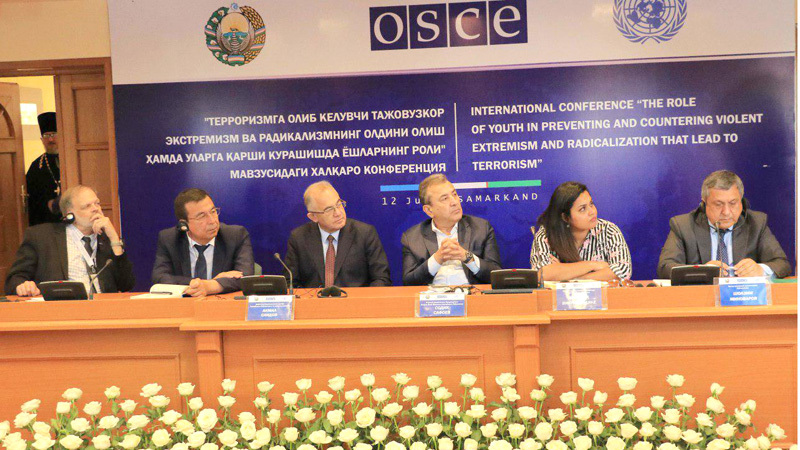 On June 12, international conference on “The role of youth in preventing and countering violent extremism and radicalization that lead to terrorism” continued its work in the city of Samarkand. The conference, organized by the Senate of the Oliy Majlis of the Republic of Uzbekistan jointly with the Organization for Security and Cooperation in Europe (OSCE) Project Coordinator in Uzbekistan and the United Nations, was attended by delegations of Afghanistan, China, Germany, India, Japan, Kazakhstan, Kuwait, Kyrgyzstan, Latvia, Malaysia, the Netherlands, Russia, Spain, the United Kingdom, the United States, foreign experts, as well as senators, deputies, activists of the Union of Youth of Uzbekistan, scientists, representatives of the mass media. Participants of the international conference first talked with representatives of the national cultural centers of the region, various religious confessions, got acquainted with their activities. Then the conference continued its work on “The experience of Uzbekistan in interethnic and interreligious relations”. It was noted that today people all over the world should act together in opposition to religious extremism and radicalism. It was emphasized that in preventing the entry of youth into the ranks of religious extremist movements, it is necessary to explain them the true significance of religion, raise their knowledge in this sphere. Particular attention was paid to activities carried out in Uzbekistan in this direction. In particular, views were exchanged on political and legal bases for countering violent extremism and radicalization that lead to terrorism, partnership of the state and civil society in this process, the experience of Uzbekistan in the sphere of interethnic and inter-confessional relations. 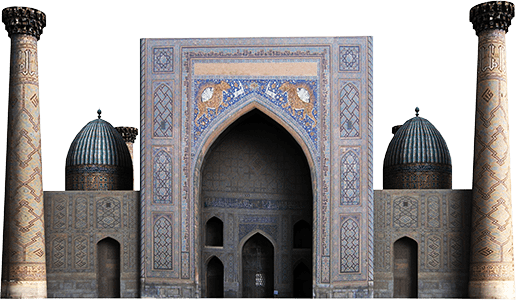 Participants of the international conference visited the Roman Catholic and Armenian Apostolic churches in the city of Samarkand. They also visited historical monuments, sacred places of the city. Within the framework of the event in Mirzo Ulugbek madrasah in Registan complex, the UN Secretary-General’s Envoy on Youth Jayathma Wickramanayake met with Samarkand youth. Golib Khasanov, photo by Alisher Isroilov.